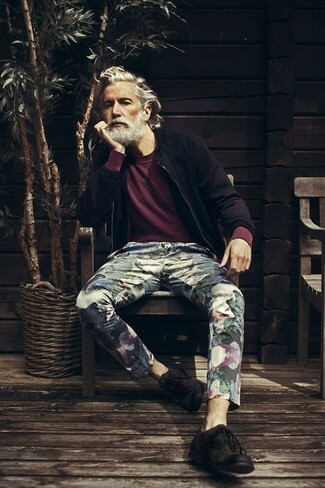 If you don't like being too serious with your outfits, consider wearing a black suede bomber jacket and black floral chinos. Channel your inner Ryan Gosling and go for a pair of Burberry velvet derby shoes to class up your look. 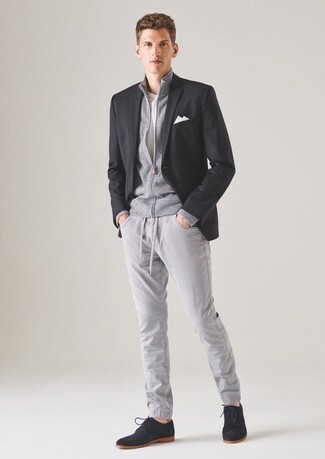 This combination of a black blazer and grey chinos is super easy to throw together without a second thought, helping you look on-trend and ready for anything without spending a ton of time combing through your closet. Channel your inner Ryan Gosling and opt for a pair of Burberry velvet derby shoes from farfetch.com to class up your ensemble. This combo of a brown plaid overcoat and black chinos is very easy to make up without a second thought, helping you look on-trend and ready for anything without spending a ton of time rummaging through your arsenal. Spruce up your outfit with Burberry velvet derby shoes. Look the best you possibly can in a light blue crew-neck sweater and black dress pants. When it comes to footwear, this outfit pairs wonderfully with Burberry velvet derby shoes. 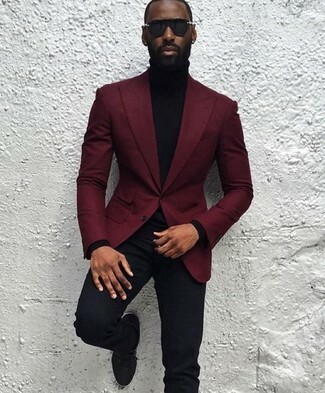 For a nothing less than incredibly stylish ensemble, try teaming a burgundy wool blazer with black dress pants. 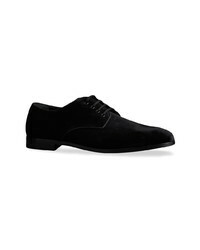 Black suede derby shoes will deliver more playfulness to your outfit. 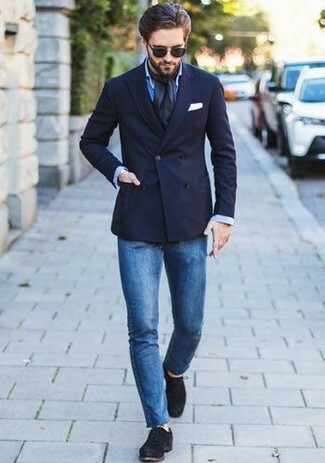 For a smart casual outfit, consider pairing a navy double breasted blazer with blue skinny jeans — these pieces fit nicely together. Play down the casualness of your outfit with Burberry velvet derby shoes. 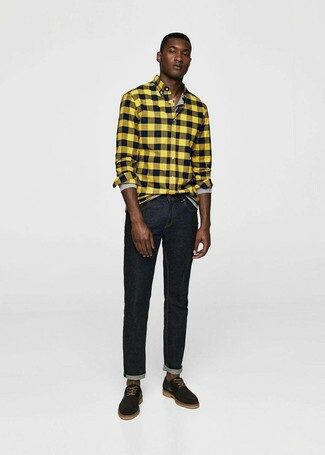 If you're on the hunt for a casual yet stylish outfit, pair a yellow check flannel long sleeve shirt with black jeans. Both garments are totally comfortable and will look great together. 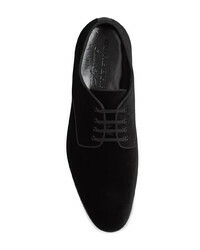 Up the ante of your getup with Burberry velvet derby shoes from farfetch.com. 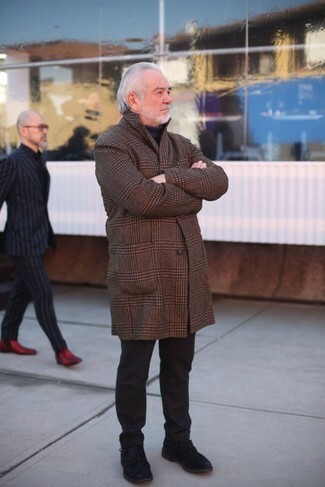 If you're on the lookout for a casual yet stylish outfit, marry a black overcoat with black skinny jeans. Both items are totally comfortable and will look great paired together. 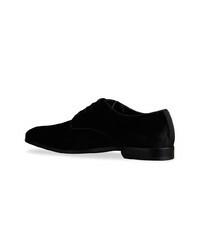 Wearing a pair of Burberry velvet derby shoes is a simple way to add some flair to your getup. 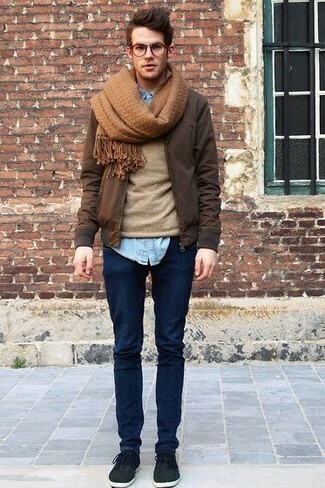 If you're looking for a casual yet seriously stylish ensemble, wear a dark brown bomber jacket with navy skinny jeans. Both pieces are totally comfortable and will look great together. You could perhaps get a little creative in the footwear department and elevate your ensemble with black suede derby shoes.